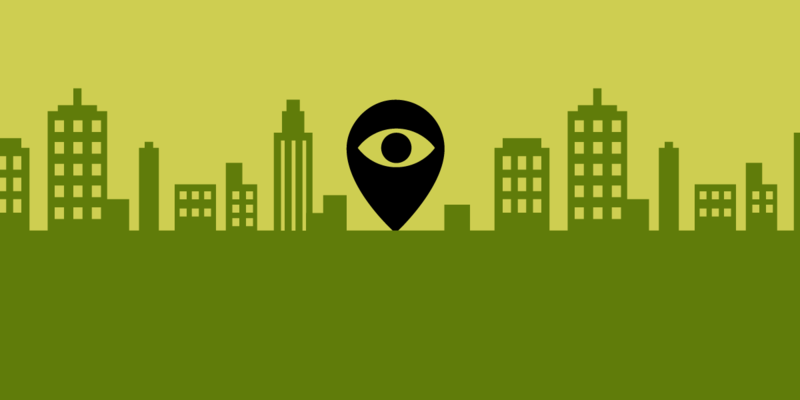 Location data is among the most sensitive forms of information related to a person's privacy. Collected over time, people’s movements from place to place reveal a good deal about them: where they work, where they play, where they worship, their political leanings, and even personal and familial relationships. While the U.S. Supreme Court and California’s State Legislature are in agreement on the sensitivity of location data, the Los Angeles Department of Transportation appears to be much less convinced. LADOT has not grappled with the serious privacy and civil liberties issues implicated by such a massive data collection campaign. Furthermore, LADOT’s failure to limit law enforcement access to raw trip data through anything less than a warrant signed by a judge is in seeming opposition to the Supreme Court’s holding in Carpenter v. United States, which held that “the Government must generally obtain a warrant supported by probable cause before acquiring” location records. In its ruling, The Court recognized that time-stamped location data “provides an intimate window into a person’s life, revealing not only his particular movements, but through them his familial, political, professional, religious, and sexual associations.” The Supreme Court’s analysis of the sensitivity of location data was echoed by the California State Legislature when it passed the California Consumer Privacy Act (CCPA)—explicitly listing geolocation information as personal information and affirming that “any information that can be reasonably linked, directly or indirectly, with a particular consumer should be considered “personal information." Even with names stripped out, location information is notoriously easy to re-identify. Part of the problem is LADOT’s failure to acknowledge the sensitive nature of trip information, claiming that the MDS requires “no personally identifiable information about users directly.” (emphasis added). But even with names stripped out, location information is notoriously easy to re-identify—particularly for habitual trips. To demonstrate the process through which this information could be re-identified, EFF Staff Technologists—in a cursory analysis of publicly available data from New York City’s rideshare program, CitiBike—identified what is likely a single rider regularly leaving home between 7:30 am and 8 am each morning and returning home just after 6 pm each evening. Unlike New York’s public rideshare program, which requires riders to pick-up and return bikes at docking stations dispersed throughout the city, LADOT’s program applies to dockless bikes and scooters, so the location data acquired through Los Angeles’ dockless mobility program is even more unique to each rider. Yet, even with the data available through CitiBike, one need only wait for our rider’s regular routine to begin one morning in order to confirm his identity. This may seem innocuous, but what if our rider was a domestic violence survivor at risk of being stalked by their assaulter? Or, instead of a regular commute to and from work or school, the data showed our rider taking regular trips to attend Jummah prayer at a local mosque or meetings of a local political organization? The potential threat to their safety as well as religious and political freedom makes it easy to see how critical it is that LADOT and the City Council act to protect this sensitive personal information. LADOT’s GitHub Repository and June 2018 press release announcing “A New Digital Playbook for Mobility” make it clear the department has no intention of stopping at dockless e-bikes and scooters. At the same time, LADOT’s General Manager Seleta Reynolds, in her capacity as an official within the National Association of City Transportation Officials, also seems intent on spreading this methodology to other cities across the U.S. The people of Los Angeles and cities across the country deserve safe streets. They also deserve the freedom to move about those streets without undue risks to their privacy and physical well-being through unchecked vehicle surveillance. With the April 15 compliance deadline for the next phase in Los Angeles dockless mobility program quickly approaching, it’s urgent that Los Angeles residents contact their City Council representative today, and demand that they put the brakes on LADOT’s irresponsible data collection.